I was born and raised in the Conch Republic. I get used to people assuming the Keys are only about beaches, tans, and maybe some fishing. Those of us who dwell here know that there’s so, so much more. 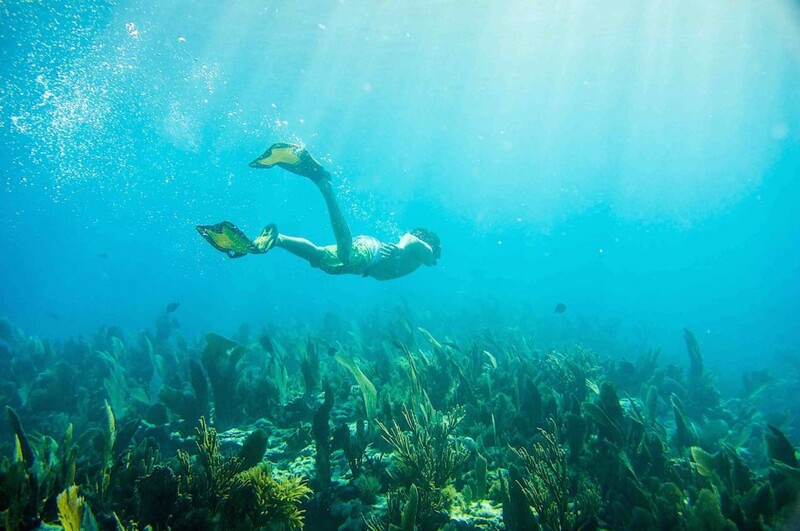 Before you die, you absolutely have to try and have these 14 experiences in the Florida Keys. Fly to a remote beach. 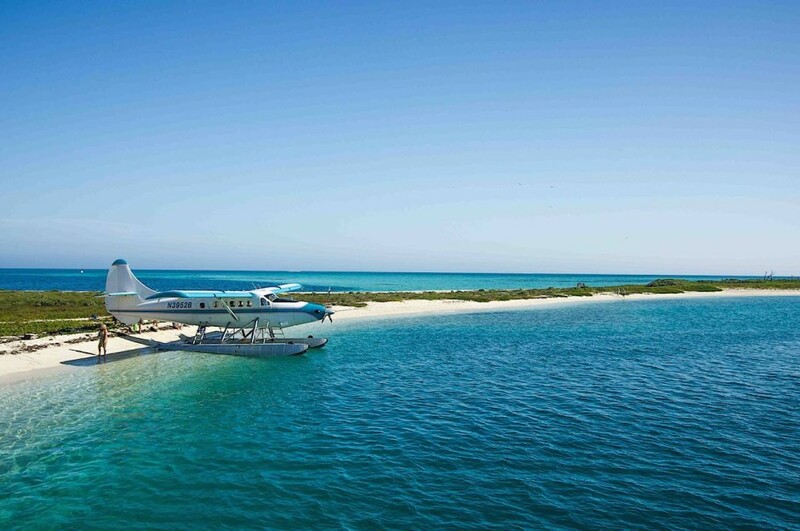 Fly into the Dry Tortugas by float plane rather than take the two hour boat ride, not only because it’s shorter but because the view from the air of the fort and surrounding electric blue waters is unmatched. Land where it's empty and feel like a true explorer. Rock a kayak and accidentally get too close to a croc. With such limited land space we’re forced to hit the water. In this shot, we're kayaking a part of the Crocodile Lake National Wildlife Refuge and the first thing we saw paddling back was a healthy 10 foot croc sliding into the water. Thankfully he didn’t give us any trouble and the beers were still cold, so we turned out alright. We even caught some snook while we were at it. Take off on a sailboat and tip back some local rum. 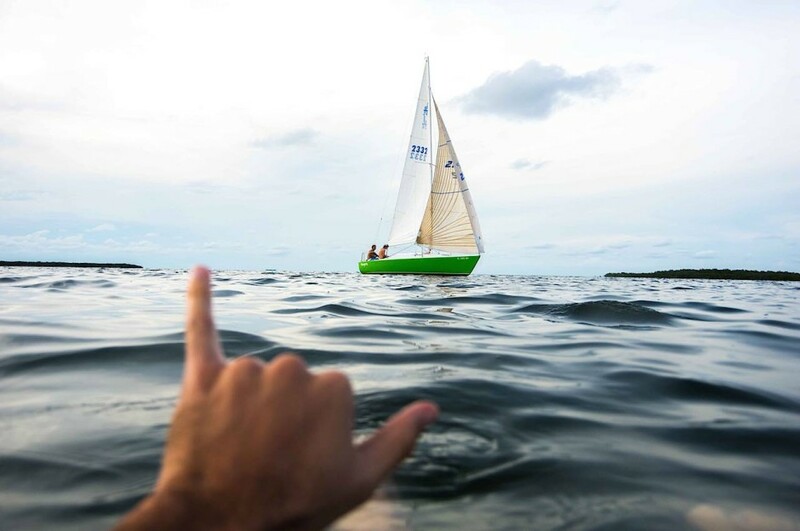 When the wind picks up, and conditions aren't great for kayaking, SUPing, or diving, it's time to sail the bay, enjoying a good bottle of rum and jamming out to some reggae. You should join us sometime. A few too many nips of rum and turning up Sun 103.1 and you've got a perfect day on your hands. Bring local rum - like Seista Key, Black Coral, or St Augustine's. Take off on a paddleboard, and watch the sharks swim below. 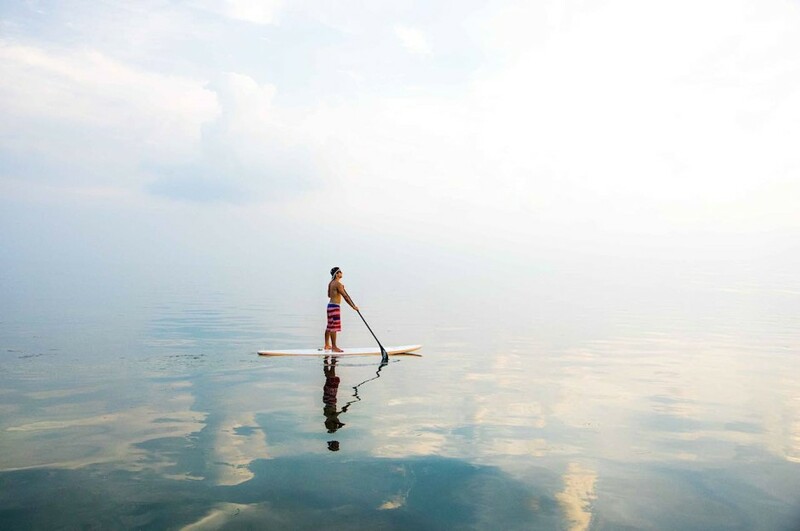 The Keys can be a paddleboard paradise, given that the water can be calm, the views are practically cliche, and the water is clear enough to look straight down. While the waters look calm, there was actually feeding frenzy that was happening around us. The flat was awake with life on this particular evening in Marathon Key. Sharks, Tarpon, Dolphin and everything in between feeding on the baitfish schooling up in the shallows. Makes for quite the show. Getting into the water itself opens up a whole other world. 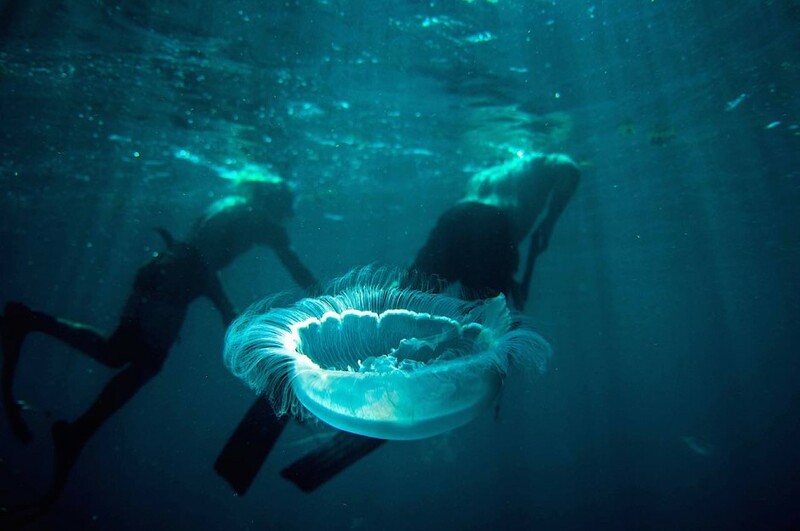 Here, a couple spear-fisherman navigate their way through a group of Moon Jellyfish. Spearfishing is still incredibly common in the Keys, and has a long history here as a sport that requires skill and ethics. During the winter months, these Moon Jellyfish flow through in the thousands making for unique photo opportunities but difficult diving conditions. It’s not uncommon to hop in and find yourself immediately surrounded by thousands of these brainless stingers. Wherever you dive, if you're here, get in the water. Freedive in the wide open waters, not just where you can stand. Be surrounded by the blue. Explore at least one shipwreck. Nothing feels more lost than a sunken ship. It's one of the eeriest sights on earth, both above or below water. This wreck is easily accessible from Key Largo, but if you are a diver, you can also visit many underwater sites from here. Cruise the tunnels and feel like Indiana Jones. 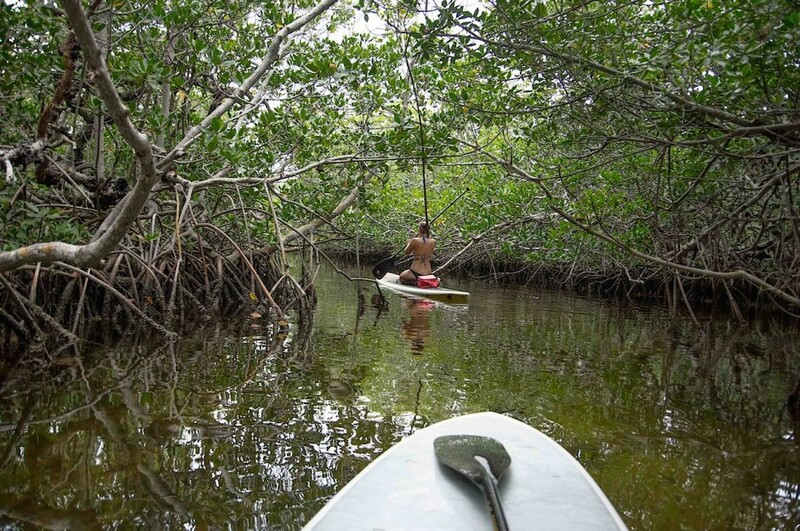 Mangrove tunnels like these in John Pennekamp National Park can be found all throughout the Keys and are the closest thing we have to hiking trails. These maze like systems can run on for up to miles are the perfect place to go paddling if you want to just take it easy and enjoy the sights. 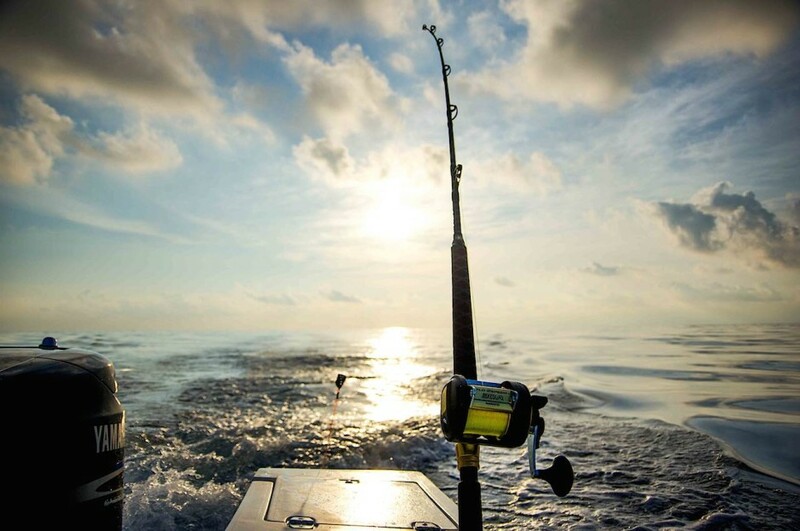 Forget your worries and fish. Beer in hand, feet up resting, and a rod positioned in wait for the sound of that bzzzzz that signifies a fish is on. It’s what brought my dad down to the Keys and what’ll keep me here for years to come. Sure you can fish anywhere, but fishing here is heaven on earth. Let the wind literally take you away. Kiteboarding is huge in the Keys during the Fall and Winter months when the windy days become more frequent. 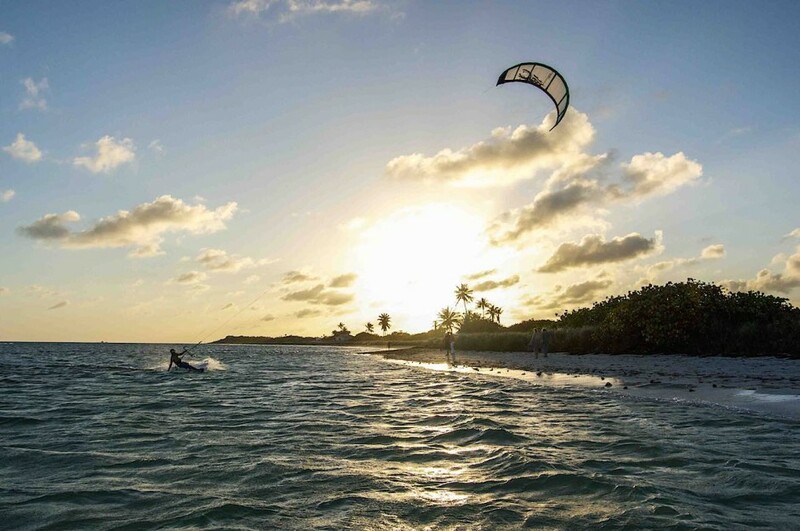 You can pretty much kiteboard anywhere along the Keys but the most popular destinations are Anne’s Beach, Curry Hammock State Park and Bahia Honda. 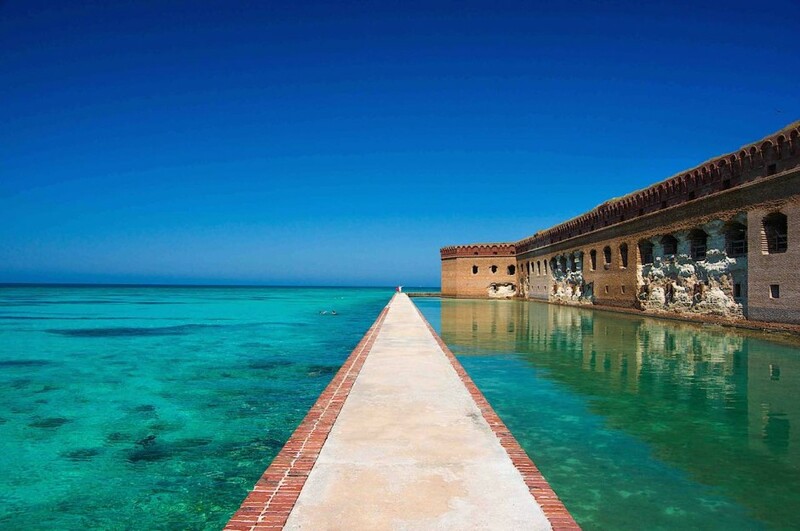 Explore Fort Jefferson - at the right time of day. Fort Jefferson, built as a strategic anchorage for its valued location is the largest masonry structure in the Americas, is the main attraction apart of the Dry Tortugas. Even though the Dry Tortugas are one of the least visited National Parks in the world it can feel like it’s one of the most popular when the ferry arrives and a couple hundred people explode onto the islands. This is the main reason why we choose to camp there, to bide our time and avoid the crowds. 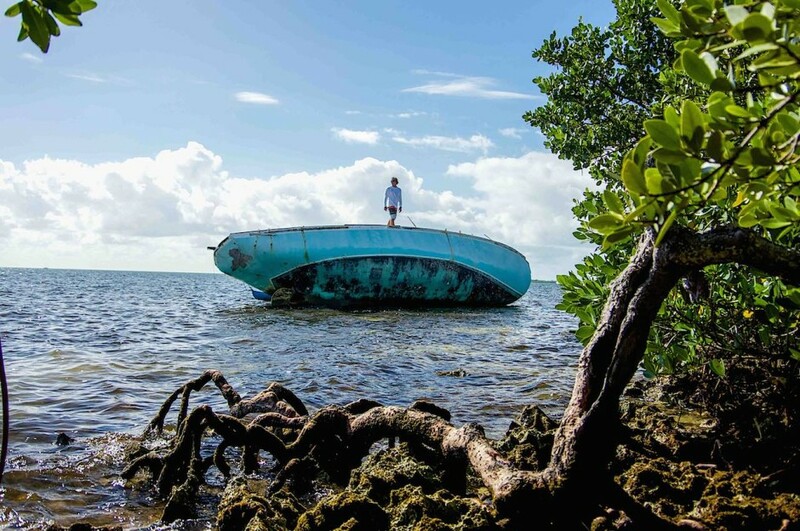 With its remoteness, it hasn't changed much since Ponce De Leon first laid his eyes on the islands in 1513. Spend the night in one of the most remote national parks on earth. 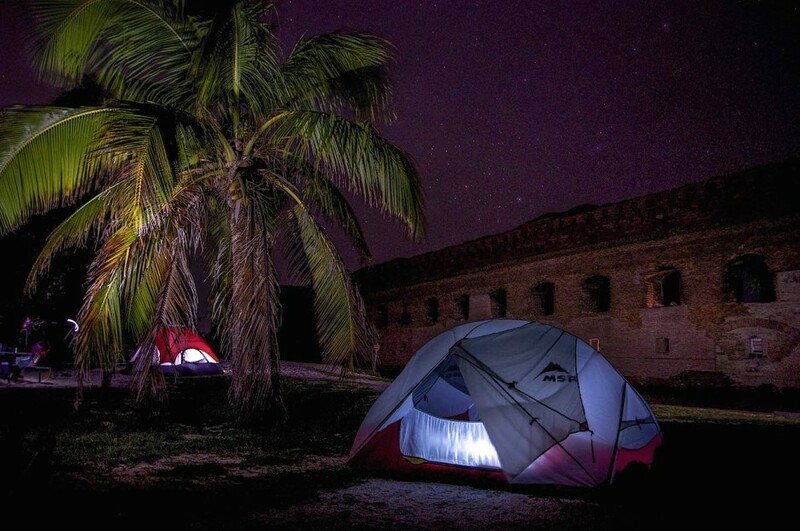 Camping the Dry Tortugas is a must if you you have the time and equipment for it. When the ferry leaves with the tourists onboard, you can have this place to explore all to yourself making for a welcome sense of solitude that is rarely found in today’s connected world. Just in time for the sunset, and to lie back and watch the stars come out. 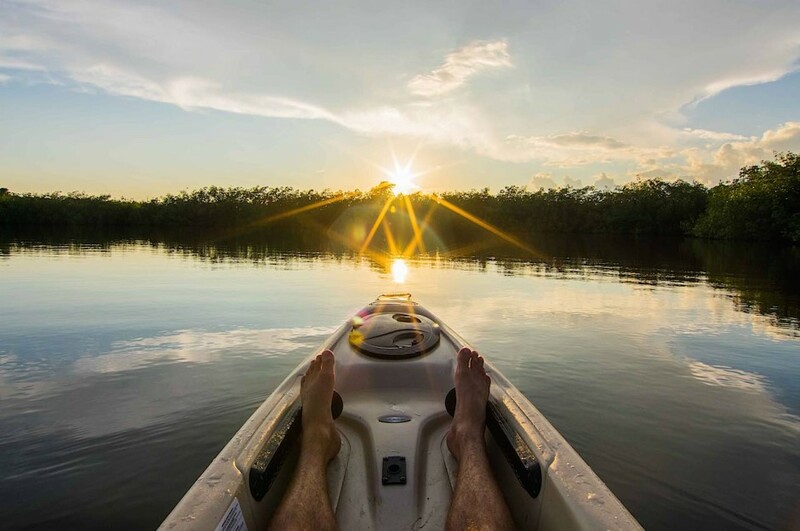 Paddle out and watch the sun rise or set. Sometimes we’ll paddle out on calm nights, stop in a good location and just drift with the current until the last of the light fades away. On this particular night we decided to go out to a place called Airport Flats which is about a 10 minute paddle from my neighborhood launch spot. 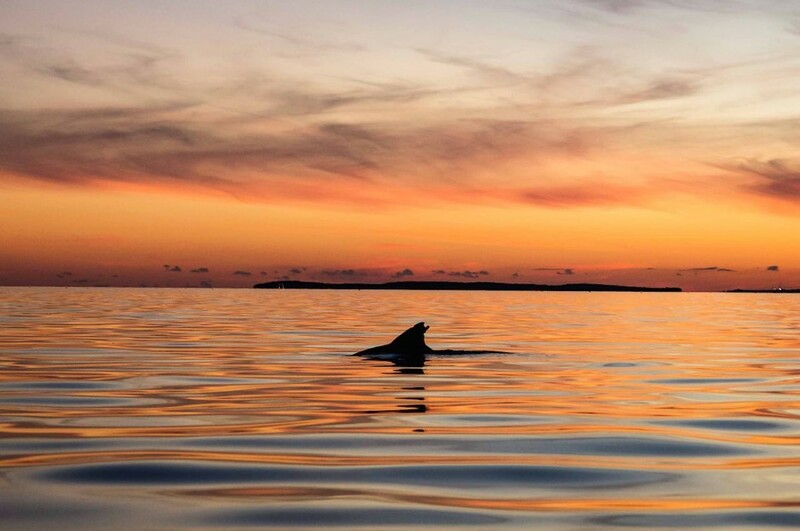 We sat there taking in the scene when this lone Dolphin appeared almost out of nowhere. He started to charge through the shallow waters after bait balls that had come up on the flat to feed. We debated what may have caused all the scars on his fin. We concluded a life well lived often comes with a few scars. 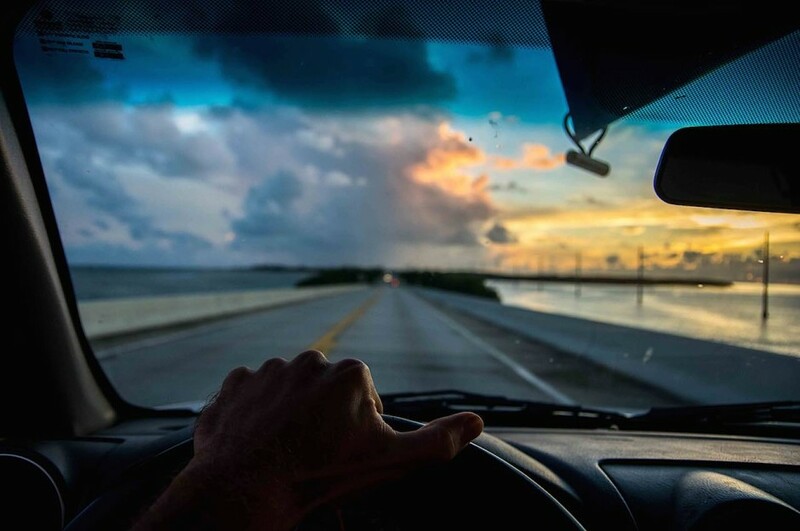 Driving over one of the many bridges that connects the Overseas Highway - 113 miles long, three hours from Miami all the way to Key West, and phenomenally scenic - I feel extremely lucky to have grown up driving this road on an almost daily basis. I realize how many people come from all over the world to experience this place - some, just to drive this road - and am constantly reminded by these views to appreciate what i have and not take it for granted.